This post was originally posted on Forbes.com on APR 12, 2018. You can access the original post here. Luxury brands are not known for allowing consumers to dictate trends and brand initiatives. They’ve had long-standing policies of disseminating their editorial point of view through traditional channels and using aspirational imagery to create irrational demand. 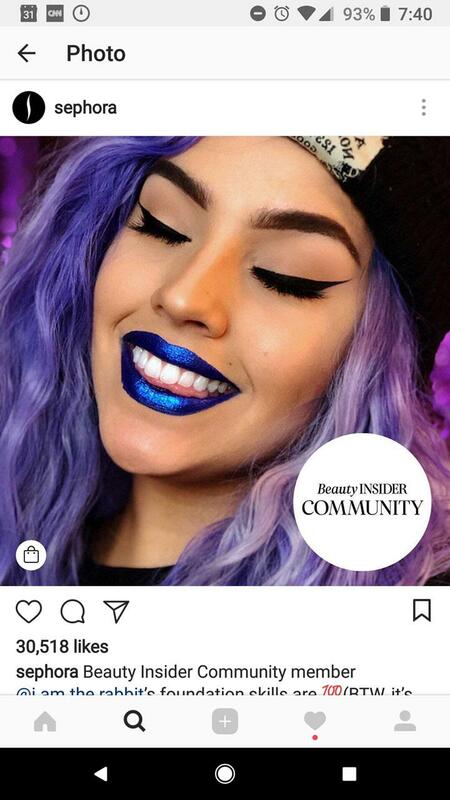 Sephora does not want to give its customers that untouchable impression. Instead, it has adopted a strategy of honest and open two-way conversation. The meaning and commitment behind Sephora’s tagline, “Let’s beauty together,” permeates across its marketing and pays off big in customer loyalty. Deborah Yeh, SVP of Marketing & Brand at Sephora, leads this marketing effort and elaborated on the social strategy that has brought this brand mission to life. 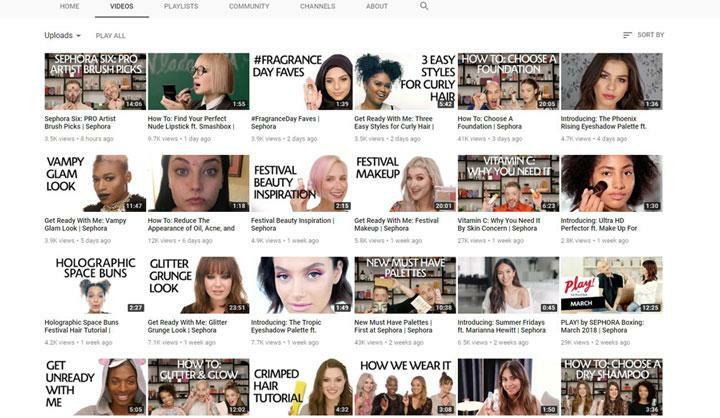 Veronika Sonsev: What’s unique about Sephora’s social strategy? Deborah Yeh: Everything we do in social is reflective of the brand, mission and purpose: “Let’s beauty together.” We’re believers in authentic two-way conversations with customers and we try to be thoughtful about the type of content we produce. Beauty is diverse and has many voices and faces. We believe it’s for our clients to define and for us to celebrate. There are many ways we promote direct conversations online. For example, we host live social media events with brand founders, like Vicki Tsai from Tatcha, where we ask them 5 questions and open it up to audience questions, as well. These events take courage because there is only so much we can do to prepare for a live event. Sonsev: What three tactics have you found most effective in engaging customers on social? Teaching — We like to say that beauty is a never-ending journey, which means that customers sometimes need guidance. Our clients often ask us questions like: “The weather is cold, what do I do for dry skin?” or “I’m going on vacation and need to know what to do for sunscreen.” We try to guide our clients through these kinds of questions. Humor — We use a witty, relatable voice when responding on social media. For example, skin care can be a hard sell via social, so we started publishing memes about skin care with humorously relatable messaging. Community — We have a rich set of followers and concentrate on ways to engage with them around beauty wherever they are in their journey. Sonsev: Which social channels do you participate in? How does your strategy differ by channel? Yeh: We participate in: Instagram, Facebook, Pinterest, Twitter, YouTube, Kik, Wishbone and SnapChat. Each social channel serves a different communal purpose, which requires us to deliver different types of content. On Instagram, we use live, stories and posts, focusing on the quick eye candy. On Youtube, we post long-form educational content. We use Facebook and Snapchat for event coverage and Wishbone for polls and quizzes where customers vote on things like their preferred beauty looks. Sonsev: Do you leverage conversational channels like Facebook Messenger as part of your strategy? Yeh: Sephora uses Facebook Messenger for booking reservations. We partnered with Assi.st to develop a Facebook Messenger bot that is being used to book makeup appointments. The service is completely powered by AI, no humans are involved. The reservation bot launched in 2016 and, as a result, we’ve seen an 11% increase in bookings. We also implement a conversational campaign around prom on Kik (a younger platform that serves teens and millennials). Customers could get prom tips by interacting with a bot. Sonsev: Are you incorporating any new technologies like Augmented Reality (AR) filters or voice into your social strategy? Yeh: We’re using geo-filters for in-store events and encouraging people to snap their in-store experiences. Our best use of AR is outside of social. We created an app called Sephora Virtual Artist that lets customers virtually try on any shade of lipstick, eyelashes and full-face makeup looks. For example, Fenty Beauty by Rihanna can be tried on before the customer comes into the store. Sonsev: How do you produce the content for all those social channels? Yeh: We have a number of different content production techniques. Overall, we think about social media assets as part of larger, more general campaign efforts. Most of our media programs include assets for social media. In December 2016, we launched a studio in LA where all the YouTube content is produced. In 2017 we created almost 90% more videos compared to the year before without the studio. It also enables us to capture what’s happening in the LA makeup scene by being able to engage more of the LA brands in our studio. We used to have a few still photography studios in San Francisco. Recently, we converted some of our office space in San Francisco to capture still photography. Now, we move at lightning speed — the social team can ideate, have the concept shot in-house, edited and posted all in one day. Beauty, like so many other retail verticals, represents an ever-changing, immersive customer journey. In the old days, that journey started — and ended — at a beauty counter. Today, that journey can start on a website, through an app or on social media. No matter what your preference, Sephora is ready to engage in a two-way dialogue at any time, in any channel, exactly how the new beauty customer expects.